Estimates indicate that one of every five Americans will be age 65 or older by 2050. People over the age of 85 are becoming the fastest growing segment of the population. This means that the importance of powers of attorney for health and financial issues is also growing for people across the country, including many here in Nevada. Medical advancements that allow people to live longer also leave them open to suffering from mental and physical conditions that require them to need assistance in handling their day-to-day lives. This does not necessarily mean that they are no longer capable of controlling certain aspects of their health and financial lives, but it could mean that they will be unable to do everything alone. Most people consider powers of attorney to only be needed in the event that someone is considered incapacitated by their doctor. However, these documents can also allow for a trusted family member or friend to handle only certain tasks with the help and direct involvement of the person needing assistance. For instance, a financial power of attorney can be structured in such a way that the agent only handles the payment of bills. At the same time, it does not have to give the agent the power to sell property or close accounts without the express consent of the individual. At the same time that people are enjoying longer lives, they may also fear reaching a point where they are unable to care for themselves alone. 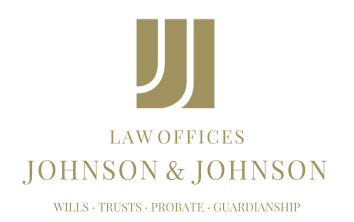 Powers of attorney can provide the peace of mind that they and their family members need. Nevada residents should not wait until they need assistance to create an estate plan that includes these vital documents.